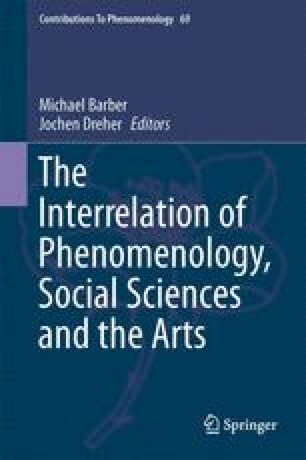 Enriching Wolfgang Iser’s theory of aesthetic response with Alfred Schutz’s idea that one undergoes a certain epoché in entering the sphere of literary reality, this paper shows how the reality of the novel involves different levels of appresentation with regard to levels of transcendencies, such as the spatio-temporally distant event or place, the experience of others (characters), or a reality transcending the reality of the novel, which the novel itself appresents. These levels of transcendencies invite the reader to press forward in reading the novel. The other reality the novel appresents, for instance, the unspeakable but often forgotten or repressed cruelty of the world of slavery appresented in Toni Morrison’s novel Beloved, can play a role in effecting societal therapy.